"We use Spotlight to deliver timely, accurate and easy to understand information to clients. 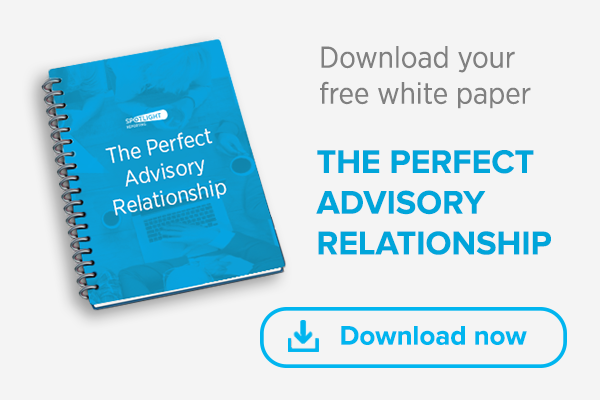 It’s a fantastic tool which also gives us insights that we use to help clients improve their businesses." 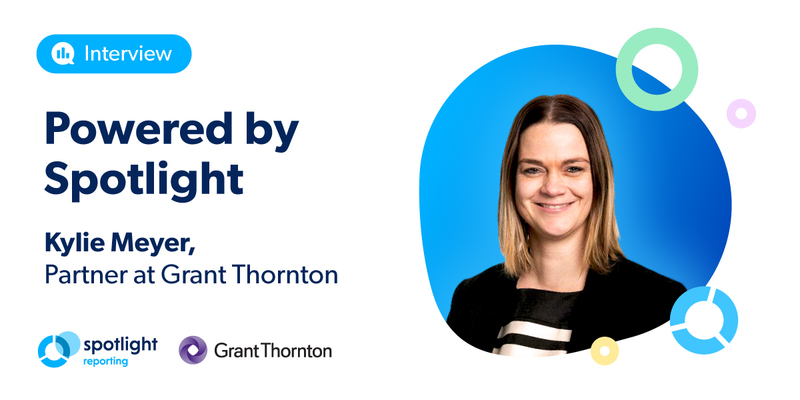 Kylie Meyer (Partner at Grant Thornton New Zealand) gives her review of Spotlight and tells us how she uses it in her role. Hi Kylie. To get us started, tell us a bit about your company and what you do. I’m a business advisor and I work primarily with SMEs at Grant Thornton. We're a leading independent assurance, tax and advisory firm with more than 250 people working in Auckland, Wellington and Christchurch. We work with privately owned, publicly listed and public sector clients to unlock their potential for growth, and to solve complex problems. What's your experience been like using Spotlight Reporting at Grant Thornton? I’ve been with Grant Thornton for over a year now and we started using Spotlight Reporting back in 2015. I use Spotlight Reporting to deliver timely, accurate and easy to understand information to clients. It’s a fantastic tool which also gives us insights that we use to help clients improve their businesses. Which features do you enjoy the most and how do they make your job easier? For me, it’s about the ability to keep client reports really simple, as I'm a big fan of “less is more”. I enjoy using the Reporting tool – the main things I use are the Profit and Loss and Balance Sheet reports (with graphs), and the Cash waterfall. The Revenue Comparison graph is really useful. It’s a fast way to demonstrate how a business is performing compared to previous years. There are other specific graphs such as the Gross Profit Percentage that I use to quickly provide sense checks. I like that your reports are both numerical and graphical to meet the diverse needs of our clients. I've used the consolidation tools to quickly and accurately do eliminations and provide consolidated reports. Traditionally, we would've used Excel to do consolidations, but if clients use a system that imports into Spotlight, we're able to make changes in the underlying ledgers and quickly re-run consolidated reports. We use a mixture of Reporting and Forecasting tools to meet the needs of our clients. I like the ability to update the forecasts with actuals and re-run cash forecasts and use them as a working document to help our clients understand where they’re at and where they’re going. How do you rate the customer support you’re receiving from Spotlight Reporting out of 5? I’d rate the customer support 5 out of 5. If we have any problems, we go to the helpdesk and any problems are dealt with very quickly! What would you say to someone looking for a reporting tool, or considering switching to one? Spotlight Reporting is easy to use and as a tool, there are always workarounds for the solution that I want. The ease of use is most important to me and having a tool that gives me everything I want, when I need it.